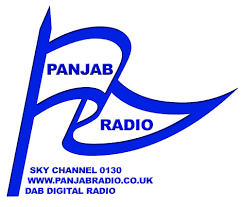 Panjab Radio is to join the forthcoming Sound Digital digital radio multiplex, where it is set to become the third Asian station in the expanded DAB line up. The station will relay its existing feed, which is already available on DAB in some areas. It's expected that the station will join Asian stations Sunrise Radio and BMR on Sound Digital in the next six weeks. Sound Digital, the UK's second national DAB multiplex, is currently broadcasting part-time test signals on VHF Block 11A. "This is once again the biggest step for Panjab Radio since its launch and we believe the time is right again for us to launch across the UK. We’re grateful to those who’ve supported this initiative and to the thousands of individual listeners across [the] UK. "It’s a significant expansion for Panjab Radio which has come a long way since its launch as a satellite station in September 2000, when it was only available on Sky. Panjab Radio has been on somewhat of a rapid expansion in recent months, with the station also joining DAB services in Betlin and Oslo. "The UK radio industry has had a poor record of making sure its stations reach out to all audiences, and are inclusive of all Britain’s communities. The inclusion of a Panjabi radio station on the national airwaves is good news for listener, and arguably long overdue. Congratulations to the team, advertisers and listeners of Panjab Radio for getting the station on air across Britain once again." There will be a co-ordinated marketing campaign coinciding with the launch of Sound Digital starting in the next few weeks: as well as Panjab Radio, the new DAB multiplex will become the home of new stations including TalkSport 2, Virgin Radio and Mellow Magic, plus existing stations such as Share Radio, becoming available to a wider audience, as well as stations such as Absolute 80s, which is transferring from the existing D1 multiplex. How do you know stations such as Share Radio and Panjab Radio are launching on Digital 2? I've been on Sound Digital's website and neither station is listed. Is Panjab replacing one of the stations listed in Sound Digital's bid, or is it an additional service? Are they launching on regular DAB or DAB+? This has not yet been officially confirmed. Incorrect - some stations will broadcast in stereo.